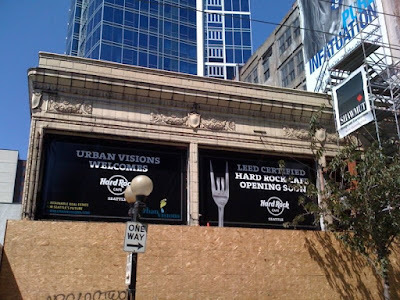 Construction continues at The Liberty Building, HardRock Cafe's forthcoming home along Pike Street. The interior of the building has been stripped down to its skeleton - look for a more detailed construction update later this week. 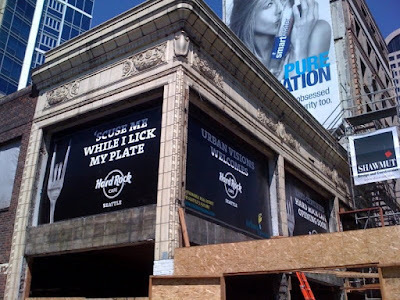 For now I've attached two photographs of Hardrock's new exterior signage.